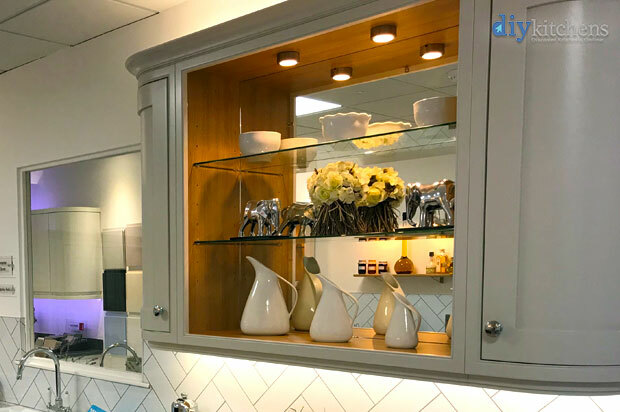 All of our cabinets are supplied rigid (unless otherwise specified) with drawers and wirework factory fitted and all necessary fittings included, this dramatically reduces the fitting time compared to a flat pack kitchen. Your kitchen will arrive with a Technical Fitting Guide, which sets out all the information you need to fit your new kitchen. Always start by fitting your corner base units first. Then follow by fitting other base and tall units. These can then be used as a guide for the fitting of the wall units. The tall unit will act as the top height for fitting your wall units. You can also ensure that your wall units line up with the base units below. Find out more by viewing Craig’s Basic Installation Tips video below. Hi Tina, If you create a support ticket here then the Aftersales team will be able to provide some advice on this. We have a curved wall unit and there are no brackets on the back, should there be or do you install these differently? Hi Gemma, the curved units do not come with fixings at the back and are intended to screw into the unit at the side of them. Does the 900 l shape corner base unit not need a corner post? Ours didn’t come with one. Its the Harewoood inframe kitchen. Also we have an issue fitting a space saver plinth heater in the 400 larder unit . This is due to the position of the front feet We need a opening of 350 . Can you recommend how we can not use the feet at the front and support the unit and still install the plinth? Hi, 900 L Shaped units don’t have corner posts as you have a door where the corner post would be. With regards to the plinth heater, if you have units either side of the larder, then the front legs can be removed. It would be advisable to attach the larder unit to the units either side with carcase connecting bolts. The larder unit will also need fixing to the wall in the top corners with L-brackets. The plinth can still run along the front and connect to the legs from other units. Hi, yes, usually tall units to get attached to the wall, if you are stepping this off the wall then I would advise using some framework or a baton to attach the units too. We have just had delivery of our kitchen. Looking at your video, do you not attached the base units to the wall? Hi, you do not need to screw the base units to the wall, unless you want to do it for your own piece of mind. 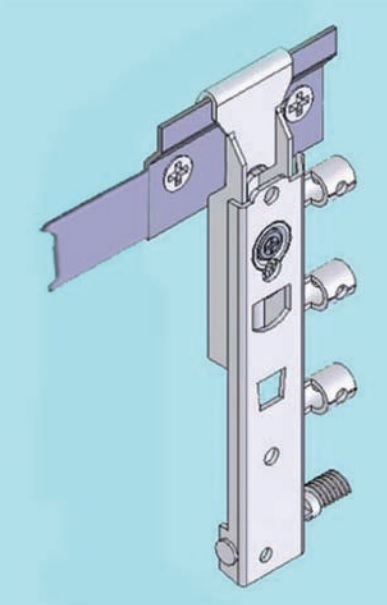 We would advise using the carcase connector bolts to attach the units together and to keep the units rigid and in place though. 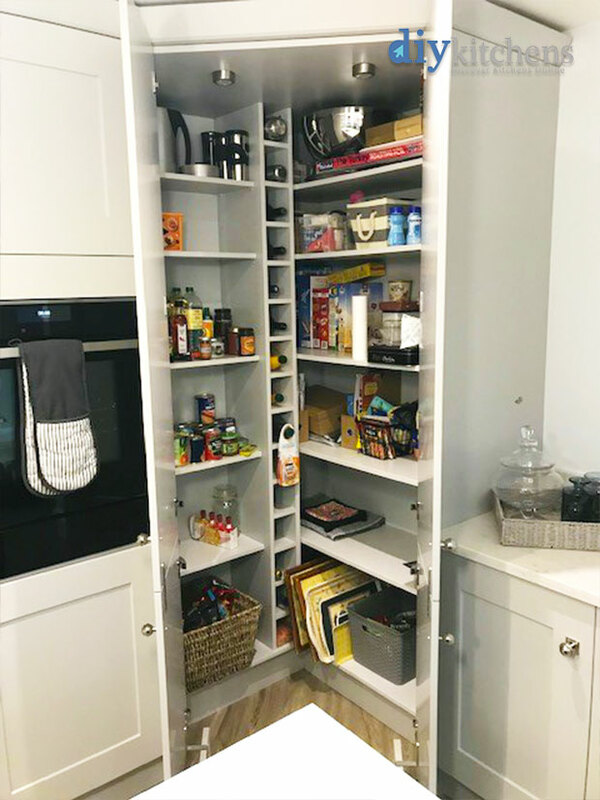 Hi, we have just installed the pull out larder with two doors and a normal larder with two doors. The gap between the two doors across both units are very out! Which is easier to adjust? We don’t want to have to take the door off and re drill. Happy to send a picture. If I have two tall single oven units that are next to each other, but separate from all other units,. The tall units are in a nook with a wall behind them and a wall on either end. Should I fix the tall units to one of the walls and if so which wall? Hi, we would advise to connect the 2 tall units together and then connect them to the wall behind the units. Hi, the fridge/freezer unit will come with doors attached, these remain attached but the fridge/freezer will have some attachments that connect the doors together so that when you open the main unit door, the fridge/freezer opens with it. The instruction manual with your specific fridge/freezer will give advice on how to attach them together. 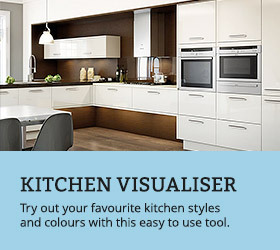 I’m looking forward to ordering my kitchen with you and am currently trying to design an island. I was thinking of using 40mm worktop (3000mm x 960mm) for the top and another of the same width cut to build the two sides. I would then have a row of units on the front, with a wine cooler on the front (due to depth the cupboards on the front, one of them would need to be reduced depth of 300mm). There would be a 300mm overhang, probably around 2400mm in length to sit four bar stools beneath. However, I’m struggling to work out what to use as a panel in front of the stools. I’ve seen some examples where a single panel is used (I want a painted kitchen and doesn’t look like you have a breakfast bar panel for a Luca painted one) and some others where it looks like door fronts have been used. Any tips how to design and build this would be extremely useful. Hi, for peninsula/island back panels the maximum width we supply in that range would be 2000mm, so you would either have to have a join in two panels or alternatively, you could use multiple doors as fake fascias on the reverse. When installing base units, is it normal to cut the backs off all the units from the bottom up and leave say 100 mm at the top, leaving the chipboard exposed ? I know that you need to allow for services, pipes, hoses etc. I have recently had an expensive kitchen fitted and am concerned that water ingress will damage the units in the long run? Our base units come with a 42mm service void to accommodate pipes etc. This should be sufficient. You would only need to cut holes into the backs of units to feed waste pipes through to the sink etc. Installing 40mm diameter waste pipes for the dishwasher and sink that are to run behind several units to the external wall won’t realistically fit within this 42mm service void. What would you suggest? Hi, bring the units away from the wall, the end panels are oversized so will cover the ends where the units don’t meet the wall. 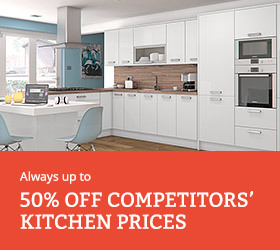 You might need a deeper worktop on that kitchen run also. I am going to have a free standing range cooker. What space do I need to leave between it and the units either side? Do I need end panels in this situation. As I am having Luca matt white units I am not intending to have end panels anywhere. Hi, with regards to the space that you would need to leave, you would need to speak to the manufacturer of the range as specifications do alter on different brands. With regards to end panels, it does look neater if there is an end panel at the end of the units (either side of the oven). The end panel could be cut in half and half used either side or even some filler material used to give the effect of an end panel (this would be the cheaper option). If you do use end panels then don’t forget to factor in the widths of the end panels in your overall measurements. I’m designing a kitchen and its fitting tightly but I dont want to sacrifice my cupboards to go for smaller ones if necessary. But do I need to allow for fillers either side the run of cabinets as they are plant on doors and not in frame which I know you can get away with more as you have a frame. Hi, a filler between a wall and a unit is not essential. However, if you have the space, take an panel 18mm, cut it lenghtways in to two pieces and use as a filler it takes the cabinet 18mm from the wall. It allows the door to open fully and the handle on the door will still clash with the wall but by far less. Personally if a filler can be used, I would install one. Can you recommend an easily obtainable glue to use for sticking the cornice and pelmet joints? My kitchen units will start with the tall fridge/freezer unit against the wall. Should I leave any gap between the wall and the tall unit then? If yes, and I think: “yes”, what should I use to cover the gap? Second question is, is collection available? Just asking if I need anything else to buy, what was forgotten? If I buy not enough plinth, units, etc., would it be still possible to order some more stuff? I understand that the minimum order is £750, so how does it apply to the second shopping basket if something was forgotten in 1st purchase? How about wall fixings? Can I purchase them from you? 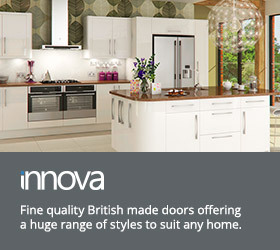 (1) If you have placed a complete kitchen order with is over £750, then yes, you can order extras afterwards. When you create a cart that is less than £750 it will take you to a screen to advise you of this. On that screen there is space for your original order ID and email address. Enter those 2 pieces of information and the additional order will go through fine. If you have corner base units in your kitchen then you are going to need a corner post(s). Read more on this here. (3) All the fixings for the kitchen wall units and unit connecting screws come with the kitchen in the fittings box. I know those questions keep repeating. Thanks for your patience and understanding. I have ordered the units already. Regards. Do you need an end panel between an integrated appliance and a base unit? Hi, if you have a base unit next to the integrated appliance, when you close the door you will see a slight gap straight through to the back of the side of the appliance or the appliance itself. If this unit is out of the line of sight, then you may choose not to put an end panel in but if it is the first thing that people see when they walk into your kitchen then an end panel will remove that gap and nothing will show through. 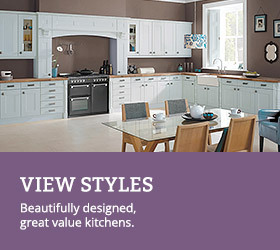 I am about to start fitting out new kitchen and will start with the corner unit, as suggested. What height should I set the legs at? Should I start at exactly 150mm for the corner unit, and then level all other units from there? If the floor is not quite level, I guess this means I will need to do an angled cut on the plinth? The plinth is 15cm tall, so you need to ensure that the height does not grow any higher than that otherwise there will be a gap above the plinth. The best thing to do is measure your floor to the top of the unit from the part of your kitchen that dips the most and set the legs to 15cm. As you move down from that point you’ll know that you’re plinth will fit but it may need cutting down slightly as your floor rises back up and the legs will also need adjusting down as well. Remember that the legs will only adjust down to 14cm. I forgot to mention: I will be fitting engineered floor after the kitchen is fitted. Should I be measuring 15cm from the floorboards, or 15cm from the engineered floor (which we have not purchased yet)? I was planning on the former as I have set the level of the above worktop sockets to 1060mm (150mm above worktop, assuming cabinets stand 150mm from floorboards). What would you recommend in this case? Thanks! Measure from the engineered floor otherwise you will have to cut all the plinth down as no part will reach 15cm unless you raise your worktop by the thickness of the flooring so that the legs can be set at 15cm. If you put a panel between an integrated appliance on your bottom run, would you need a panel between units on your top run as well? Hi, you would not put an end panel between wall units. If you are after symmetry, in the planning stage you can choose the widths of wall units that you require and use a filler at the end of a kitchen run to help you get the lines of the wall units and base units lined up. Please bear in mind that this is not always possible, especially in smaller kitchens. My celling height is 233cm from tiles level. Is it possible to install 230 cm tall unit and 90cm tall wall unit with that level of margin? Hi, we would say that this would be difficult as you generally need at least 100mm of tilt room to stand the unit upright so you may struggle to do this. If you really wanted the tall units, you may be better making some false legs/base for these and sitting them on top rather than trying to tilt them into position. My main worry was not so much the tilting as you can always turn the tall units upright, temporarily holding them on struts before putting the legs and they are “only” 215cm tall withouth them…. I was more concerned by wall fixing. Particularly, wall units seem to be attach to brackets and apparently need to be slightly lifted up, then slid down onto the bracket. How much clearance would that require ? would an inch or so be sufficient? Hi, the wall units are attached to metal brackets that are screwed to the wall, as shown below. 1 inch should be sufficient to hook the unit over the top to be able to lower it onto the metal brackets. Are the carcasses 18mm and is there a minimum order? Hi, the carcasses are 18mm thick with the option of colour coordinated units to match the style of door and there is a minimum order value for complete kitchen orders of £750. Hi, when ordering units on the website, choose “Door hinge side” – “left” and we will put them on that side when we make the units for you. whats the best way to get the legs under the tall units as if we lay unit on floor and put feet in to the holder thats attached to unit. we can’t get unit to stand up as its to close to ceiling. or can you supply smaller legs we can slide under unit if we lift it . The legs we provide are 150mm tall but can be lowered to 140mm. This is the lowest you can make the unit legs and these are the only legs that we stock I’m afraid. Do I need an end panel to fit between an integrated fridge and my free standing oven? Basically from the wall the kitchen will have an undercounter fridge, then an undercounter freezer (both integrated). The oven is next in the run. Is an end panel needed between these? Yes you would need an end panel to separate the oven. Would we need one between the fridge and freezer? Hi, it is recommended to have end panels separating appliances as the inside of the run of units will look neat and tidy, especially if you have integrated appliance doors, otherwise there may well be a small gap between the doors that you can see straight through to the back of the wall. Just received the kitchen units and cabinets. Do the base cabinets require fixing to the wall behind? Does the worktop fix using the small plastic connector currently installed inside the unit at the top? Should the worktop be fixed to the wall? The answers to your questions are below. Do the base cabinets require fixing to the wall behind? If you have single units on their own then it may be a good idea to fix these to a wall for extra rigidity. If you have a run of 3 units then fixing to the wall is optional as the units will all be connected together and the strength and rigidity will come from the connection. Does the worktop fix using the small plastic connector currently installed inside the unit at the top? Yes, you attach the worktop using those connectors and screw upwards through them. You also screw through the piece of wood that lies horizontal at the top of the base unit to keep the worktop in place. Should the worktop be fixed to the wall? It is not necessary to attach the worktop to the wall as it is attached to the units and will not move. You then use splash backs or tiles to cover any join between the unit and the wall or silicon.